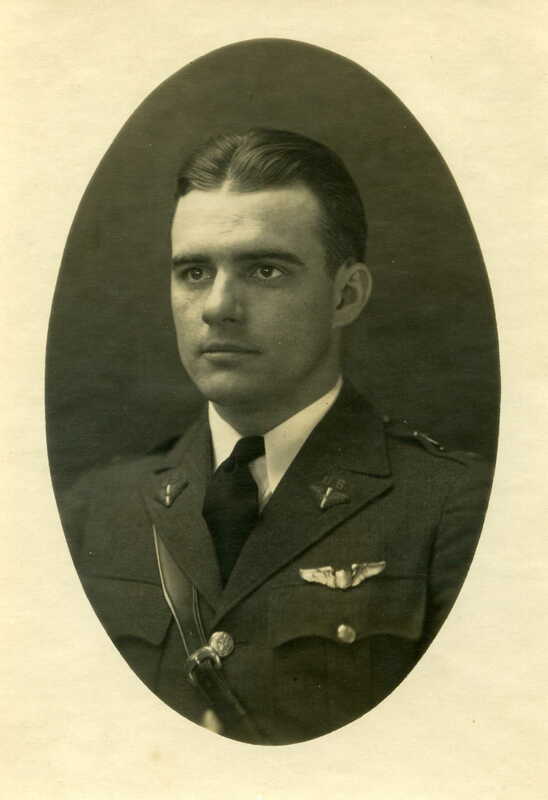 U.S Air Force pilot Jesse Auton (1904-1952), who flew missions in two wars and rose to the rank of Brigadier General, was the son of Robert Wesley and Julia E. Bagby Auton. He graduated from Piner High School in Piner, Kentucky, in 1923, and was class valedictorian. Auton graduated from Georgetown (Kentucky) College in 1927 with a B.A. in education. Following graduation, he returned to Piner High School, serving as both a teacher and assistant principal for the 1927-28 academic year. It was at this time that he became interested in aviation, and in 1928 he enlisted in the U.S Army Air Service. Following pilot training in Texas, Auton was commissioned a Second Lieutenant in January 1930. From 1930 until 1936, he was given a number of assignments, including service as a pursuit pilot with the 94th Pursuit Squadron based at Selfridge Field, Michigan; commander of the Civilian Conservation Corps camp at Ludington, Michigan; and group adjutant for the First Pursuit Group in California. He also served as an Army air mail service pilot in 1934 and was assigned as aide and pilot for Major General Preston Brown, commander of the Second Army Corps. 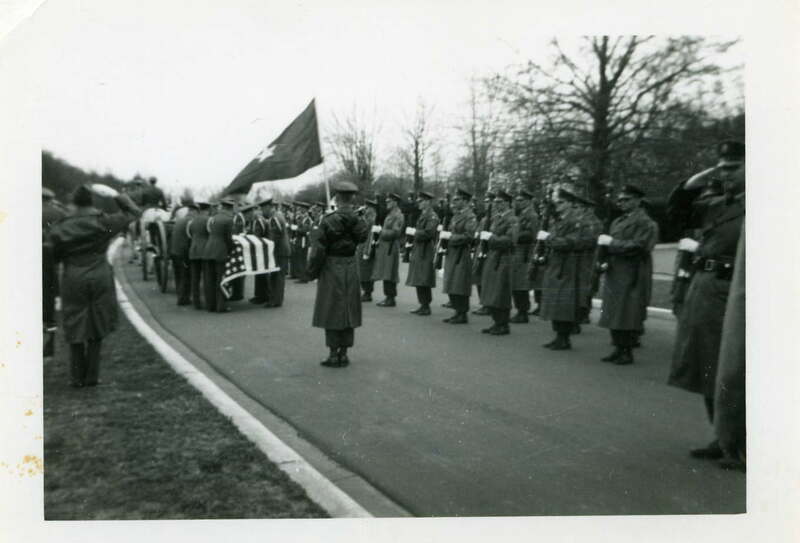 It was during his service under General Brown that Auton commanded the Air Service color guard during the funeral of Will Rogers. In early 1936, Auton was ordered to Washington, D.C., where he served as a White House aide under President Franklin D. Roosevelt (1933-1945) and as aide and pilot for Louis Johnson, Assistant Secretary of War. Following the outbreak of World War II, Auton was sent as an observer to England and Ireland to survey sites for potential U.S air bases for the newly formed Eighth Air Force. Upon returning to the United States, he was assigned as plans and training officer for the Third Fighter Command in Tampa, Florida, and in January 1943 he was given command of the San Francisco Air Defense Wing in California. During this time he wrote a fighter training guide for squadron and flight commanders, which was used through the end of the war. By April 1943, he had transformed his command into an overseas fighter wing and deployed it to England. The unit was designated the 65th Fighter Wing of the Eighth Air Force when it arrived in England, and it became the first operational U.S. fighter wing in Europe. As wing commander, he had overall control of five fighter groups and one emergency rescue squadron. He and his staff helped to develop a strategic fighter control and communications system, which helped protect bomber formations more effectively. In March 1944, he was given the temporary rank of Brigadier General and commanded the wing through November 1945, flying 12 combat missions. 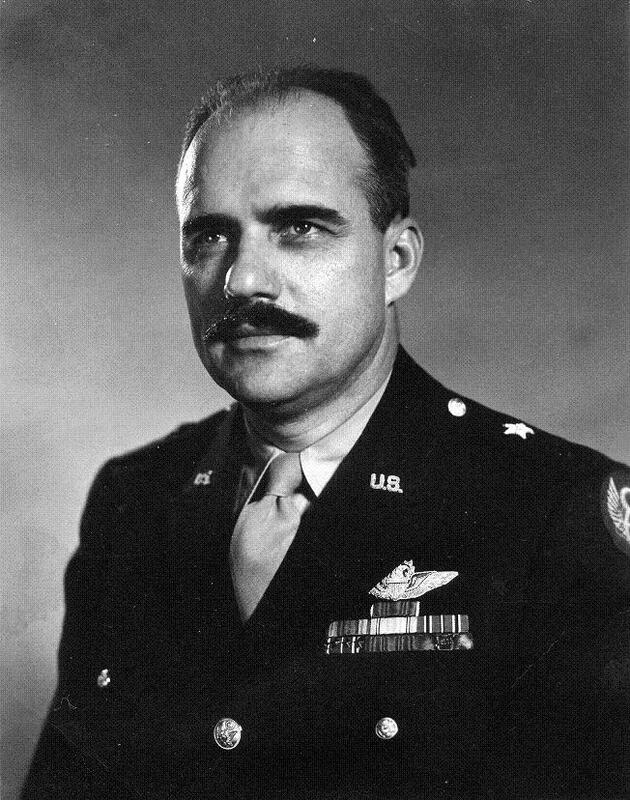 Following the war, Auton reverted to the rank of Colonel, and from 1946 to 1950 he held a number of positions including base commander of Lowery Field, Denver, Colonel; director of operations for the Air Transport Command; wing commander of the 313th Troop Carrier Wing, which hauled coal into Berlin during the Berlin Airlift; and commander of the U.S. Air Force station at Goose Bay, Labrador. In April 1950, he was assigned to Strategic Air Command (SAC) headquarters in Omaha, Neb., serving in operations under General Curtis Lemay. General Lemay sent Auton to Korea in 1950 to do a limited assessment of air operations in the Korean War. 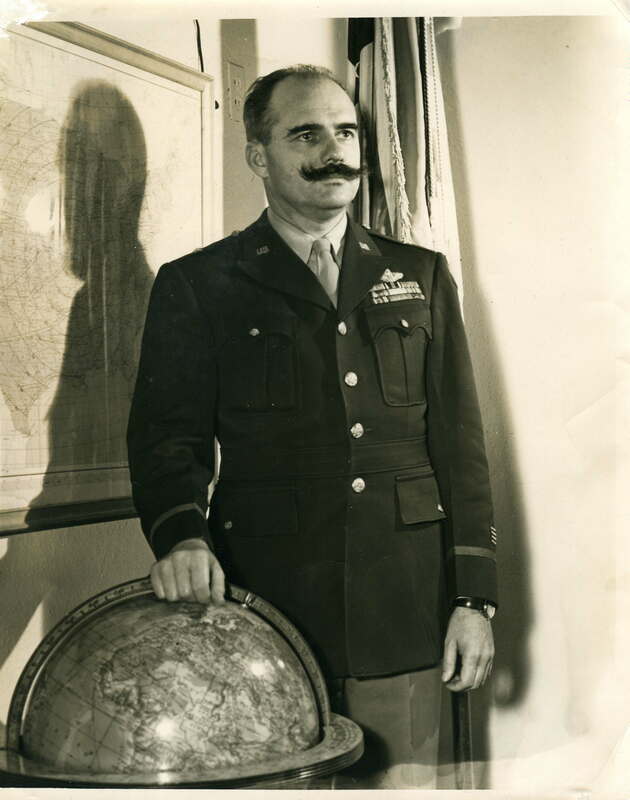 During his time in Korea, Auton flew nine combat missions in various types of aircraft. He returned to the United States in early 1951 and gave public talks regarding the air war in Korea for SAC. In October 1951, he was promoted to the rank of brigadier general with the position of director of fighter support operations. Auton was killed in a plane crash at Offutt Air Force Base, Omaha, on March 20, 1952, while returning on a flight from California. 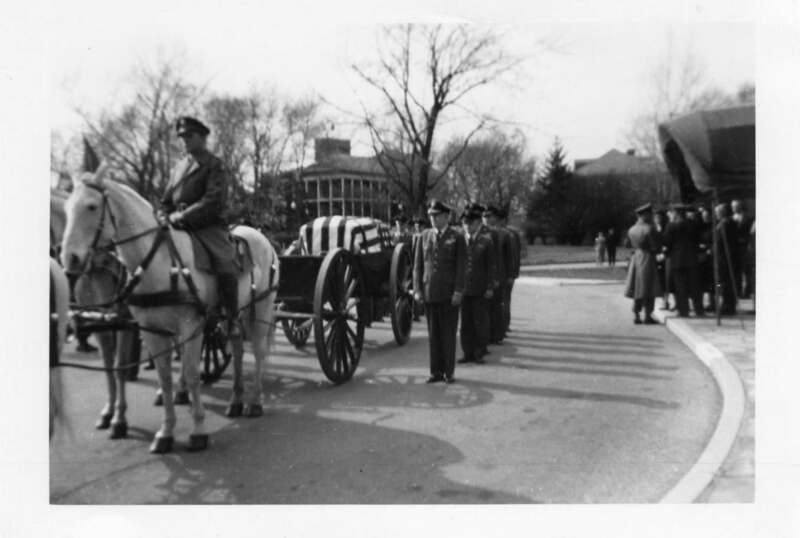 He was buried at Arlington National Cemetery in Arlington, Virignia, with full military honors. He was never married and was survived by his brothers and sisters. Upon his death he left a bequest to Piner High School (now Piner Elementary), which has continued to help the school fund various projects, including the recent construction of a new library dedicated in his name. Auton's decorations and honors included: two Legion of Merit medals, the Distinguished Flying Cross, the Air Medal, the Bronze Star, two Army commendation ribbons, the Order of the British Empire (military), the French Legion of Honor, the French Croix De Guerre w/palm, and the Belgian Croix De Guerre w/palm. He was the only American to receive the award of the Freedom of the Borough of Saffron Walden, England. Auton also received an honorary doctorate of military science degree from Georgetown University in 1951. For many years a street was also named in his honor at March Air Force Base, California. OMAHA, Nebraska, March 31, 1952 - Brigadier General Jesse D. Auton of the Strategic Air Command and his aide were killed today when their B29 bomber crashed into a hill on a farm while coming in for a landing at Offutt Air Force Base with one engine dead. Lieuenant Colonel Edwin R. Bush, 31 years old of Burbank, California, was killed with General Auton. Three men were injured, none of them seriously. General Auton, 47, of Des Mossville, Kentucky, Deputy Director of Operations for the command's fighter planes, was piloting the twin-engined light bomber on a routine flight from Burbank to Offutt. Witnesses said one engine was dead when the plane attempted to land. It overshot the airfield and crashed about three miles beyond the landing strip. General Auton has been in the service since 1928. During World War II he served in England. He took part in the Berlin Airlift during the Soviet blockade and had seen duty in Korea, where he received the Legion of Merit. He was not married. Colonel Bush is survived by his widow and 2-year-old son, who live at Burbank. The Offutt Air Force Base public information office said Lieutenant Joseph G. Ross of Salem, Pennsylvania, co-pilot of the bomber, was injured, as were Sergeant Arthur Herkowitz of Omaha and Private First Class Atlas L. Boles of Los Angeles.